Spinal cord injury (SCI) is a serious neurological disorder that debilitates mostly young people. Unfortunately, we still do not have suitable therapeutic agents for treatment of SCI and prevention of its devastating consequences. However, we have gained a good understanding of pathological mechanisms that cause neurodegeneration leading to paralysis or even death following SCI. Primary injury to the spinal cord initiates the secondary injury process that includes various deleterious factors for ultimate activation of different cysteine proteases for degradation of cellular key cytoskeleton and other crucial proteins for delayed death of neurons and glial cells at the site of SCI and its penumbra in different animal models. An important aspect of SCI is the increase in intracellular free Ca2+ concentration within a short time of primary injury. Various studies in different laboratories demonstrate that the most important cysteine protease for neurodegeneration in SCI is calpain, which absolutely requires intracellular free Ca2+ for its activation. Furthermore, other cysteine proteases, such as caspases and cathepsin B also make a contribution to neurodegeneration in SCI. Therefore, inhibition of cysteine proteases is an important goal in prevention of neurodegeneration in SCI. Studies showed that individual inhibitors of cysteine proteases provided significant neuroprotection in animal models of SCI. Recent studies suggest that physiological hormones, such as estrogen and melatonin, can be successfully used for prevention of neurodegeneration and preservation of motor function in acute SCI as well as in chronic SCI in rats. The online version of this article (doi: 10.1007/s13311-011-0037-1) contains supplementary material, which is available to authorized users. The pathophysiology of spinal cord injury (SCI) is complex . The victims of SCI are mostly young adults (age range, 16–30 years) who, otherwise would be in a highly productive and promising phase of life, suffer and even die from the devastating consequences of SCI . There are more than 250,000 patients with SCI in the United States. Both basic scientists and physicians are baffled with the challenges of controlling progressive neurodegeneration in SCI, which has not been healed with any currently available treatments, and thus is an insidious injury to the central nervous system (CNS) right from the beginning. The only approved therapy for SCI in humans is methylprednisolone that neither satisfactorily treats nor completely cures SCI and often provides conflicting results . Because the efficacy of methylprednisolone in the treatment of SCI is highly controversial, new therapeutic agents must be explored to successfully treat SCI for functional neuroprotection and preservation of motor function. Cysteine proteases have profound involvement in apoptosis, inflammation, and abnormal immune responses in human disorders; therefore, development of inhibitors of specific cysteine proteases may promise to ameliorate the pathogenesis of different disorders . Degradation of cytoskeletal and myelin proteins in the SCI lesion suggested involvement of increased activities of neutral (calpains) and acidic (cathepsin B and cathepsin D) proteases in the pathogenesis of SCI . Further studies in animal models of SCI during the years have confirmed the crucial roles of cysteine proteases in cell death in both acute and chronic SCI; therefore, experimental therapeutic strategies are being explored for inhibition of cysteine proteases for neuroprotection in SCI. Both necrotic and apoptotic death can occur in SCI [6, 7]. Calpains are the Ca2+-dependent cysteine proteases that play the most prominent roles in causing both necrotic and apoptotic death in SCI lesion and penumbra [8, 9]. Therapeutic use of cell permeable inhibitors of calpains provided significant neuroptection with preservation motor function to some extent, and extended the survival in animal models of SCI [9, 10]. Caspases are the main cysteine proteases for execution of apoptosis and these are also activated for apoptotic death of neurons and glial cells in SCI . Experimental use of selective and cell permeable inhibitors of caspases demonstrated neuroptective effects in SCI . Cathepsins, the lysosomal acidic proteases, also contribute to the pathogenesis and neurodegeneration in SCI. There are more than a dozen of cathepsins, which are mostly cysteine proteases and only a few are aspartyl and serine proteases. Cathepsin B (a cysteine protease) and cathepsin D (an aspartyl protease) are known to cause pathogensis in SCI . Therefore, inhibition of these cathepsins may be a therapeutic option in SCI. It is now absolutely clear that production of different factors during secondary injury process promotes activation of different cysteine proteases that work in concert for neurodegeneration and neurodysfunction in SCI . Inhibition of an individual cysteine protease may provide only partial and temporary neuroprotection. On the other hand, inhibition of several important cysteine proteases, such as calpain and caspase-3, may be more effective than inhibition of either cysteine protease alone. Because SCI triggers multiple pathogenic pathways for activation of multiple cysteine proteases, it appears to be prudent to use a therapeutic agent that can inhibit multiple pathogenic pathways and important cysteine proteases for complete and permanent neuroprotection and recovery of motor function in both acute and chronic SCI. Fortunately, several recent studies reported very exciting results, showing that monotherapy with estrogen or melatonin inhibited multiple cysteine proteases, and provided functional neuroprotection in animal models of SCI [12, 13, 14]. The great advantage of using estrogen or melatonin as a monotherapy is that both are physiological hormones and have shown multiple functions for inhibition of pathogenesis in animal models of SCI [12, 13, 14]. Future studies must explore and establish estrogen or melatonin as the magic monotherapy with multiple therapeutic effects in the treatment of SCI in humans. Calpains are categorized into a family of Ca2+-dependent cysteine proteases . Conventional or ubiquitous calpains exist as pro-enzymes in two isoforms such as micro-calpain (μ-calapin) and milli-calpain (m-calpain) that require 2 to 80 μM and 0.2 to 0.8 mM Ca2+ concentrations, respectively, for their activation and half maximal activity. Precise physiological functions of calpain still remain to be clarified, but increased calpain activity has been implicated in the pathogenesis of various CNS injuries, including SCI . Almost 3 decades ago, we developed the calpain theory of protein degradation and tissue destruction in experimental SCI in our laboratory [16, 17]. Later, studies in other laboratories also provided evidence indicating that increased intracellular free Ca2+ concentration and calpain activity could play a prominent role in neurodegeneration in SCI [18, 19]. Increases in intracellular free Ca2+ concentration and reactive oxygen species following SCI activate ubiquitous calpains, μ-calpain and m-calpain for degradation of cytoskeletal and other proteins leading to neurodegeneration in SCI [20, 21, 22]. Calpain is involved in apoptotic death that requires de novo protein synthesis for neurodegeneration in SCI [23, 24]. Production of reactive oxygen species, mitochondrial dysfunction, and loss of intracellular free Ca2+ homeostasis induced calpain activation, axonal damage, and cytoskeletal degradation following a severe contusion (200 kdyn force) SCI in female Sprague-Dawley rats . Because calpains play a more important role than any other cysteine proteases in neurodegeneration in SCI, an enormous research effort continues for designing and discovering cell permeable calpain inhibitors for prevention of neurodegeneration in SCI [9, 26]. Calpastatin (110 kD) is the endogenous protein inhibitor of calpain but it is too large and thus not cell permeable . Furthermore, an increase in calpain:calpastatin ratio triggers degradation of calpastatin as a suicide substrate in vitro and in vivo [28, 29]. Therefore, the use of calpastatin as a therapeutic agent for targeting calpain in SCI is not a viable option. However, significant success has been reported showing that newly developed calpain inhibitors are highly effective in the inhibition of neurodegeneration and amelioration of motor function in animal models of SCI [10, 30, 31, 32]. Calpain is associated with reactive astrogliosis and inflammation in SCI, and thus inhibition of calpain can control these detrimental processes in acute SCI in rats [8, 33]. Calpain has been proposed to work upstream of caspase-3 for induction of apoptosis in SCI in rats . Calcium green 2-AM staining of the lesion and penumbra sections showed an increase in intracellular free Ca2+ levels following acute SCI, compared with corresponding tissue sections from sham animals . Western blot analysis showed increases in expression and activity of calpain in the lesion and penumbra segments following SCI. Also, a substantial amount of cytochrome c release from mitochondria to cytoplasm suggested a trigger for apoptosis through activation of caspase-3. Thus, calpain and caspase-3 cooperate in mediation of early neurodegeneration in acute SCI in rats . Therefore, a combination of calpain and caspase-3 inhibitors may show more neuroprotective efficacy than either inhibitor alone in experimental SCI. Caspases, another important class of cysteine proteases that do not absolutely require intracellular free Ca2+ for their activation, are the crucial effectors in cell death signaling pathways . Caspases remain as inactive pro-enzymes, which are activated following specific cleavage at aspartate sites in the course of induction of apoptosis. Active caspases are capable of cleaving cellular substrates at a concensus sequence in the course of neuronal apoptosis in CNS injury [36, 37]. Physical or physiological injury can trigger activation of caspases, which work in extrinsic and intrinsic pathways for induction of apoptotic death. The receptor-mediated extrinsic pathway and the mitochondria-mediated intrinsic pathway reunite at the final phase of apoptosis for activation of caspase-3 that cleaves the inhibitor of caspase activated DNase for activation and translocation of caspase activated DNase (CAD) to the nucleus for fragmentation genomic DNA . The extrinsic caspase cascade is initiated by ligation of cytokines, such as tumor necrosis factor-alpha (TNF-α) and interferon-gamma (IFN-γ), to their respective cell surface receptors for initiation of the process for activation of an initiator caspase such as caspase-8 or caspase-10. Both TNF-α and IFN-γ are known to be produced and released following induction of SCI [38, 39]. Amplification of the extrinsic caspase cascade can occur due to caspase-8 mediated cleavage of Bid to truncated Bid (tBid) that is translocated to mitochondria for inducing cytochrome c release into the cytosol for neuronal apoptosis in SCI [9, 40]. The intrinsic caspase cascade is also initiated following SCI for mitochondrial release of cytochrome c into the cytosol and sequential activation of caspase-9 and caspase-3 for neuronal death [9, 34, 41]. Extensive studies have already confirmed the activation of caspases of both the extrinsic and intrinsic pathways for mediation of apoptosis in neurons and glial cells in acute and chronic SCI [42, 43, 44, 45, 46]. Caspase-3, the final executioner of apoptosis, has been found to be activated for apoptosis of neurons and glial cells in animal models of SCI [47, 48]. Obviously, inhibition of caspases is an essential goal for functional neuroprotection in SCI [49, 50]. Use of cell permeable inhibitors of different caspases can provide substantial neuroprotection in animal models of SCI. Inhibitor of caspase, especially caspase-3, in combination with the inhibitor of other cysteine protease seems to provide better neuroprotection in SCI than an inhibitor of caspase alone. Cathepsins, a class of lysosomal acidic proteases, can also play an important role in regulation of apoptosis [51, 52, 53]. However, the contribution of cathepsins to neurodegeneration in SCI is not highly recognized yet. Nevertheless, our investigations suggest that cathepsins also participate in the pathogenesis of SCI and inhibition of cathepsins can be an important strategy to enhance neuroprotection in SCI [5, 54]. The cleavage of Bid to tBid and degradation of anti-apoptotic Bcl-2 proteins by the lysosomal cathepsins are supposed to be the links to the release of cytochrome c from mitochondria to cytosol for eventual activation of caspase-3 [55, 56]. Thus, the cross talk between the lysosomes and mitochondria is now known to be a very crucial process during apoptosis . Current studies suggest that cathepsins and caspases can be considered as collaborators for mediation of apoptosis . Increased cathepsin B expression at mRNA and protein levels, and also its activation, occurred in the site of injury as well as in the segments rostral and caudal to the site of injury following contusion SCI in rats, indicating that cathepsin B could potentially be involved in the secondary injury cascade . A recent study suggests that cathepsin B has a major role in spinal cord motoneuron death following injury in mice . Immunohistochemical examination revealed the localization of cathepsin D mostly in CD68-positive activated macrophages and microglia in the compression SCI lesions, suggesting that cathepsin D played an important role in the phagocytosis and lysosomal activation of macrophages and microglia during the CNS inflammation caused by the trauma . Activated microglia may also secrete cathepsin B for promotion of neuronal apoptosis . Synthetic inhibitors of cathepsin B are nowadays available for evaluation of their efficacy as neurotherapeutics . Future studies are needed to explore the efficacy of inhibitors of cathepsins for prevention of neurodegeneration in experimental SCI. Estrogen or 17β-estradiol is a steroid hormone that has enormous physiological function mainly in the female body and also partly in the male body. Gender differences in SCI were noted, and more improvement in the American Spinal Injury Association (ASIA) motor index score in women than men suggested the necessity for a future prospective study of the effects of estrogen on neurologic and functional outcome measures in the persons with SCI . A later study in SCI in mice showed that recovery of motor function after SCI was significantly influenced by gender, being remarkably better in female mice, suggesting that the mechanisms of neuroprotection in female mice might be associated with the effects of estrogen on pathophysiological processes . Estrogen is highly neuroprotective in SCI in rats . The lack of endogenous estrogen-mediated neuroprotection in SCI in older female rats can be compensated with exogenous administration of estrogen . Delayed post-SCI administration of a clinically relevant dose of estrogen is protective due to reduction in secondary damage in male rats, and endogenous androgens do not alter estrogen-mediated protection in SCI in male rats . Estrogen works via estrogen receptor (ER)-α and ER-β that bind to DNA for transcriptional activation of the estrogen responsive genes . 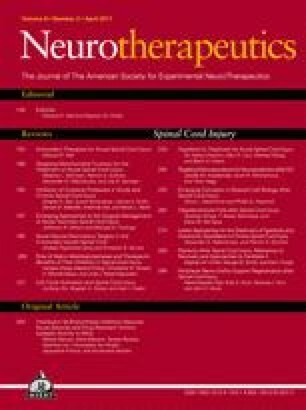 Our recent studies demonstrated that estrogen and the agonists for both ER-α and ER-β provided protection from TNF-α induced apoptosis in spinal cord motoneurons, strongly suggesting that estrogen and ER agonists could be used as effective neuroprotective agents to attenuate motoneuron death in SCI . Moreover, other studies have conclusively shown that estrogen has multiple mechanisms of action for neuroprotection in animal models of acute and chronic SCI . Our studies in acute SCI in rats demonstrated that a high-dose of estrogen (4 mg/kg) reduced edema and decreased inflammation and myelin loss in the SCI lesion and penumbra segments . Our current goal is the evaluation of mechanisms of therapeutic efficacy of the physiologically relevant low-dose of estrogen in experimental SCI in rats. Estrogen promotes production of various cell survival factors while it inhibits inflammation and activation of different cysteine proteases, so as to maximize the therapeutic effects for neuroprotection in animal models of SCI [71, 72, 73, 74]. Our recent studies showed that post-injury treatment with a high-dose of estrogen reduced cyclooxygenase-2 activity, blocked inflammation, prevented glial reactivity, attenuated neuron death, inhibited activation and activity of calpain and caspase-3, decreased axonal damage, reduced myelin loss in the lesion and penumbra segments of the spinal cord, and improved locomotor function in chronic SCI in rats . Our recent studies also established that physiologically relevant low-dose of estrogen could be highly neuroprotective in experimental SCI in rats . Melatonin is a pineal gland hormone that has an important role in regulation of circadian rhythms in the human body. Interestingly, melatonin is an anti-oxidant as well as an anti-inflammatory agent that has shown highly promising results in providing neuroprotection in different CNS injuries, including SCI [13, 77, 78]. A great advantage of using melatonin as a neurotherapeutic agent is that it has low toxicity, even at high concentrations . Neuroprotective effects of melatonin are mainly mediated via activation of at least two melatonin receptors (MT1 and MT2), which are overexpressed in motoneurons due to treatment with melatonin for inhibition of apoptosis in the motoneurons exposed to oxidative stress, glutamate toxicity, or TNF-α . A comparative study in experimental SCI in rats generated quantitative evidence that melatonin was much more effective than methylprednisolone in providing protection to neurons and subcellular organelles in the spinal cord after the injury . Treatment with melatonin reduced the development of inflammation and tissue injury in experimental spinal cord trauma and also significantly ameliorated the recovery of limb function . Our recent studies showed that melatonin could be an effective neuroprotective agent for treatment of moderately severe injury (40 g.cm force) to the spinal cord as it attenuated inflammation, axonal damage, expression and activity of calpain and caspse-3, and neuronal death in SCI in rats . The family of mitogen-activated protein kinases (MAPKs) is known to play important roles in cell signaling and gene expression. The MAPK family includes 3 major members: 1) extracellular signal-regulated kinase, 2) p38, and 3) c-Jun N-terminal kinase that regulates 3 different signaling cascades. A recent study evaluated whether the neuroprotective effect of melatonin in SCI in mice was related to the regulation of MAPK signaling pathways and found that the efficacy of melatonin was associated with reduction in the activation of MAPKs, p38, c-Jun N-terminal kinase, and extracellular signal-regulated kinase-1/2 . An interesting observation documented that melatonin in combination with exercise reduced the degree of secondary damage and promoted locomotor recovery following SCI in rats . It is now quite clear that abnormal activation of various cysteine proteases plays a very important role in the pathogenesis of both acute and chronic SCI. Increased activities of the proteases, such as calpains, caspases, and cathepsins degrade cytoskeletal proteins and other survival factors leading to apoptosis of the CNS cells in course of the progression of secondary injury process following primary injury to the spinal cord. Inhibition of specific cysteine proteases provided neuroprotection and substantial recovery of motor function in different animal models of SCI. Combination of inhibitors of the cysteine proteases, which cause the most neurodegeneration, may be a promising neurotherapeic strategy for better neuroprotection and preservation of locomotor function in SCI. 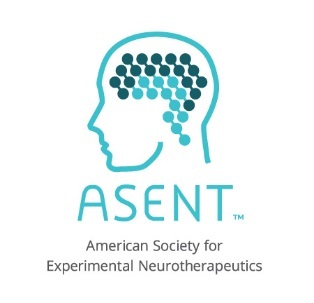 Most interestingly, recent studies from our laboratory and from that of others have shown that estrogen and melatonin with multiple neuroprotective mechanisms currently appear to be the most promising neurotherapeutics for inhibition of different cysteine proteases for prevention of neurodegeneration in SCI in pre-clinical animal models. Clinical studies are urgently warranted for evaluation of efficacy of not only inhibitors of specific cysteine proteases but also estrogen and melatonin for determining the most effective neurotherapeutics for treatment of SCI in humans in the near future. This work was supported in part by the R01 grants (NS-31622, NS-57811, NS-62327, and NS-65456) from the National Institute of Neurological Disorders-National Institutes of Health (Bethesda, MD). Full conflict of interest disclosure is available in the electronic supplementary material for this article.